Kodak Camera Error – “Memory card cannot be read (please format card or insert another card)” – Solved! | lets discuss: storage media & recovery! Home > memory card • photo recovery > Kodak Camera Error – “Memory card cannot be read (please format card or insert another card)” – Solved! While digital cameras come with some internal memory, it is limited. 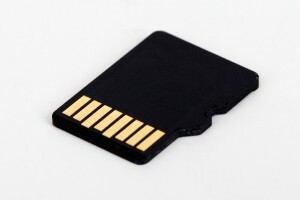 In order to capture and store a large number of photos, from a particular holiday or event, for instance, external storage devices like compact flash cards, memory cards, SD cards or microSD cards are required. If your memory card has been subjected to any of the above mentioned situations, it may have suffered a damage, or worse, serious internal problems such as file system corruption. Turn off the camera, pull out the card and then re-insert it properly. Switch on the camera and see if the error appears again. Important! Formatting the memory card deletes all data on it including all pictures and videos (including the ones that are protected). Thus, save all the pictures to your computer before you format the card. Moreover, formatting the card in the camera instead of in the computer is recommended to preserve file structure and default settings. Once the card is formatted, the error should not appear. If your camera cannot format the card, the firmware might need an upgrade. Check Kodak support page for information on this. Check if the camera’s Image Storage settings are set to Internal Memory. If they are, the camera won’t read the memory card properly. If none of the above solutions work, the only way you can salvage your photos from the memory card would be through third-party photo recovery software. We recommend using Stellar Photo Recovery. This proficient product helps in recovering lost photos and media files from internal and external drives, memory cards, and digital cameras. With the capability to restore photos with their original file names, Stellar Photo Recovery is your best shot at recovering deleted, formatted, or inaccessible photos. Download the software now! We hope our helpful pointers will help you deal with unexpected Kodak memory card errors. Keep the causes for this error in mind in order to prevent it from occurring in the first place. And always backup important photos to avoid data loss and Kodak Camera Errors.